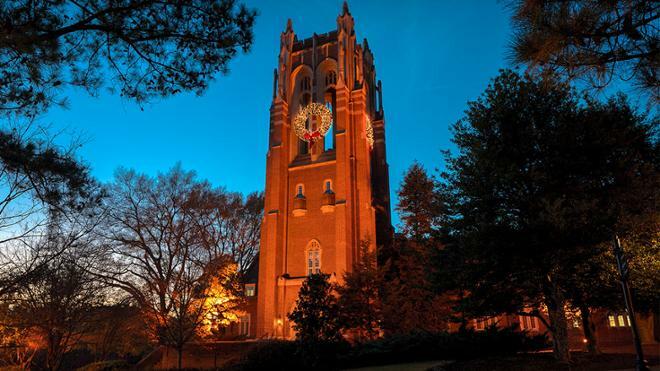 University of Richmond adorned the tower of Boatwright Memorial Library with three holiday wreaths yesterday, marking the 30th anniversary of the raising of the wreaths to celebrate the holiday season. 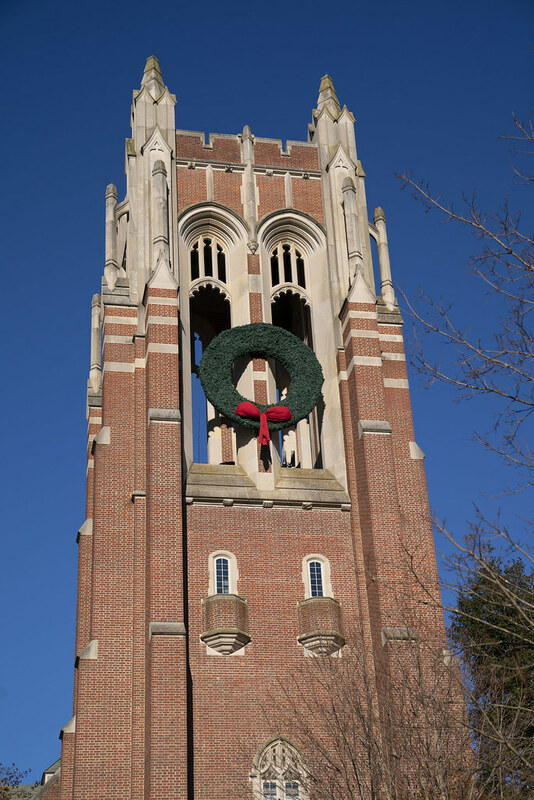 The first year of the wreath raising was in 1988 when only one wreath was raised. Two additional wreaths were added to the display in 1989, and the number has remained three since then. 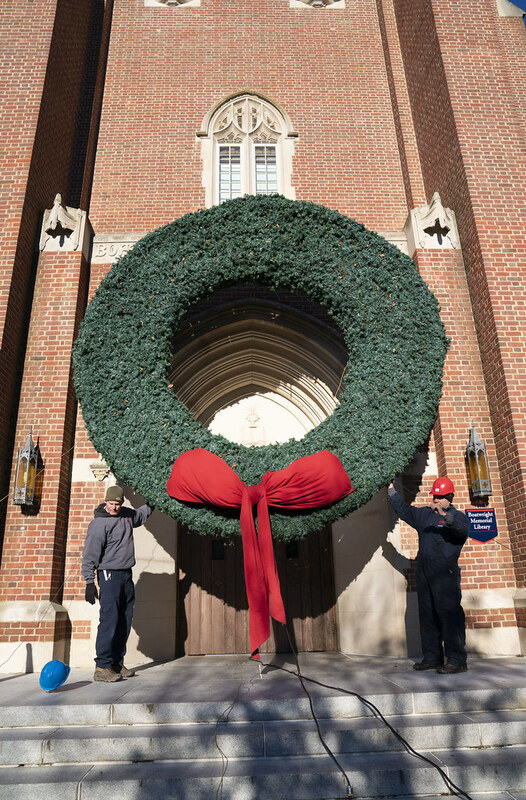 It takes a team of 12 to 14 people to place the wreaths on the library. Each wreath is approximately 85 feet in the air. There are approximately 1,400 white twinkling lights per wreath. There are approximately 780 to 800 pieces of pine garland per wreath. Each bow is 5 feet wide. Over 1,500 feet of cable is used to hoist the wreaths into place. Each wreath is 14 feet in diameter.